Broke a glass? Bent a pole? Scratched a fitting? Well it happens! But don't worry, we got you covered! 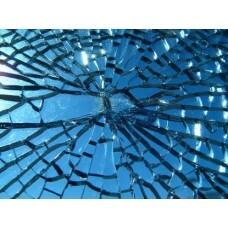 Customers tend to come to us with minor issues with breakages and because of this we created this range. Everything you see within this category is what has already been reported to us. If you can't see a replacement you need, the chances would be because no one before you has reported that item breaking. If this is the case and you wish to find a replacement for your lighting then you will need to contact us, once you have we will provide you with a link so you can purchase your replacement.